There’s no doubt that ActiveSync has been an enormous success for Microsoft. Every important mobile device vendor has licensed ActiveSync and although the implementation of the features enabled by ActiveSync varies from vendor to vendor, it’s still true to say that ActiveSync has now become a premier protocol when it comes to device connectivity, both for Exchange (every version since Exchange 2003) and Hotmail. Because of this, it should come as no surprise that books are arriving to help administrators through the intricacies of mobile device management in an Exchange world. Steve Goodman’s new book iPhone with Microsoft Exchange Server 2010 – Business Integration and Deployment (also available on Amazon.co.uk) concentrates on connecting iPhones and iPads to Exchange 2010 . I am writing a review of this book that I hope to publish on my “Exchange Unwashed” blog towards the end of March. It’s also my current recommended book of the month. 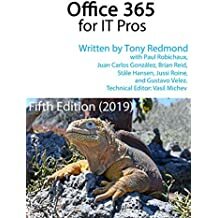 I also see that Paul Cunningham has started to write a book about ActiveSync for Exchange 2010 that looks as if it will deal with Windows Phone 7.5 and other devices. Indeed, Paul is looking for administrators of Exchange deployments in terms of taking a survey to help him figure out what topics to cover in his book. Please do so if you can. These books are ebooks or published on demand. This approach allows text to be developed, edited, formatted, and published faster than the traditional book publication process used for books such as Microsoft Exchange Server 2010 Inside Out , which can take up to a year to write and three months to edit and publish. eBooks also allow authors to respond more quickly to the needs of the market. In this case, both Steve and Paul are obviously responding to the needs of Exchange administrators to facilitate secure connectivity for an increasingly bewildering collection of mobile devices. It’s both a fun and challenging task. This entry was posted in Email, Exchange 2010, Technology and tagged ActiveSync, ActiveSync for iPad, ActiveSync for iPhone, Exchange 2010 ActiveSync. Bookmark the permalink. While I clearly understand that writing material for the latest software availalbe makes sense, I hope writers don’t forget about Exchange 2007. We Exchange admins supporting 100K,200K + user environments can’t always upgrade to the latest and greatest version of Exchange, and the way things are headed with Exchange online, our days are numbered anyway. With that said, I wish they would also write about previous versions and just the latest and greatest. I guess the issue here is that the commissioning editors for publishers won’t contract for a book that is deemed to cover “old” material. For example, I very much doubt that Microsoft Press would listen to a proposal for an Exchange 2007 book now. However, on the other hand, the rise of self-published books means that it’s easier to push out fairly focused material that wouldn’t interest the mainline publishers. Perhaps this is the way forward to document and describe older software.